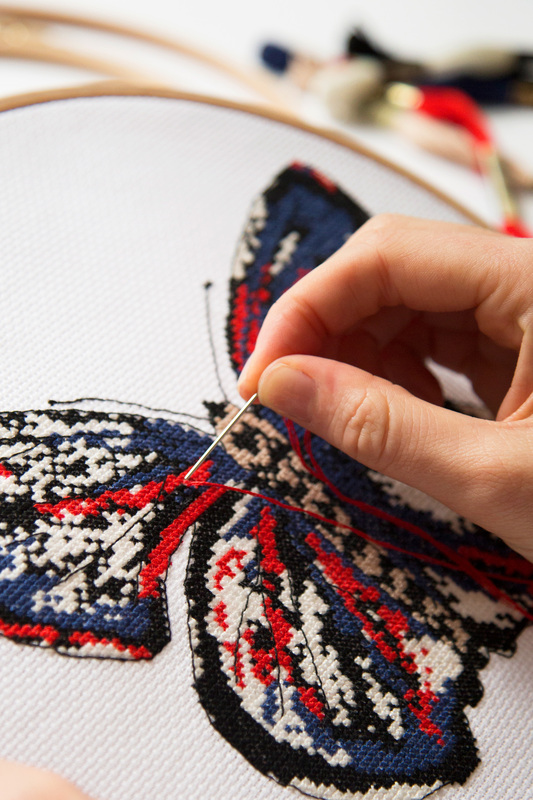 Cross Stitch is one of the easiest stitches to learn. It starts with a simple X shaped stitch that is commonly stitched with Mouliné thread on an evenweave fabric. The cross stitch is repeated numerous times to create a design. Counted cross stitch designs are made by following a grid or chart where each square that contains a symbol represents 1 stitch. Half Stitch - The Half Stitch is a diagonal stitch that goes from one corner of the fabric square to the opposite corner. Some designs use the half stitch to add interest and texture to backgrounds and shadows. Quarter Stitch – A quarter stitch resembles a half stitch but is half its length and only extends into the centre of the stitching square. Quarter stitches are often used to create details or to complete a three quarter stitch that has been stitched in a different colour. Three Quarter Stitch –Three Quarter stitches are used to create curved design lines. 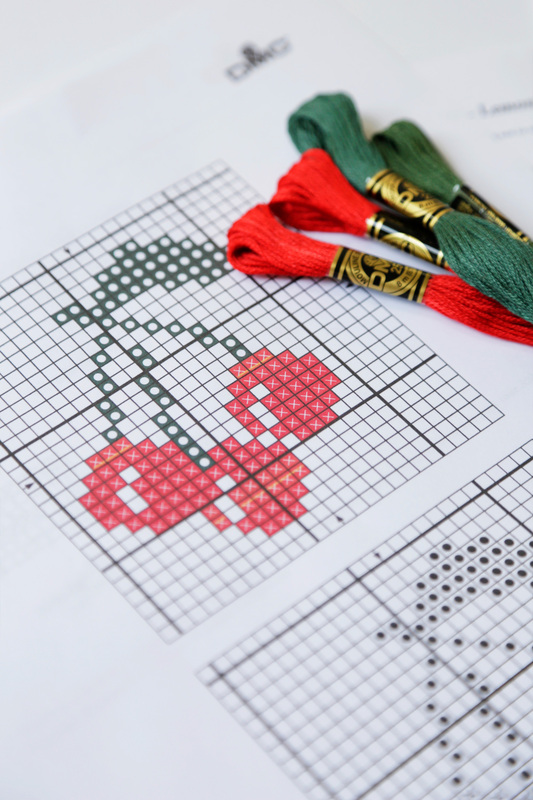 This fractional stitch makes it possible to add detail to the otherwise “blocky” look of traditional cross stitch. NOTE: Half stitches, quarter stitches and three-quarter stitches are commonly called fractional stitches because they are divisions of the cross stitch. Fractional stitches are considered advanced stitches and are recommended for more experienced stitchers. Back Stitch – A backstitch is a straight stitch used for outlining or lettering. These stitches form lines and are used to outline shapes or to add fine detail to your design. French Knot – The French Knot is a popular decorative stitch used in cross stitch to add detail. French knots look great clustered together to create texture, or individually to serve as a centre of a flower, or eyes to an animal on your design.